It’s no secret that babies require time and money. 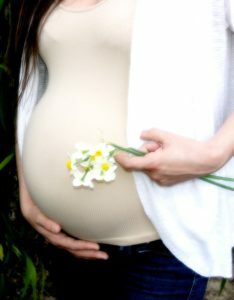 Budgeting and purchasing in preparation of a little one can be a strain on an expecting mother. 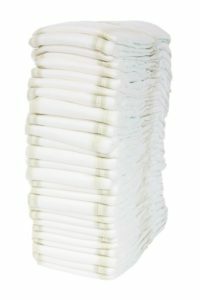 The cost of disposable diapers can add up very quickly, especially when your little one is a newborn, so free samples and reward points from diaper companies can be a lifesaver. And if you are formula feeding your child, free samples from formula companies will certainly help ease the stress on your bank account. There are many amazing resources online available to new moms. The ones listed here simply require you to sign up or subscribe to the company’s website to receive free products, coupons and more! Enfamil, a play on the words “infant meal”, is a Mead Johnson owned product that began in the late 1950’s. They offer a large variety of formulas for different infant needs. If you sign up for Enfamil Family Beginnings, you receive up to $160 in coupons, samples and special offers. Currently a subsidiary company owned by Nestle, Gerber Products Company was founded in 1927 by a man inspired by his wife’s efforts to make fresh baby food for their daughter. When you join My Gerber, you gain access to a 24/7 support system, menu planner, personalized content as well as free products and samples. First released in the 1920’s, Similac was one of the first commercial brands of infant formula. 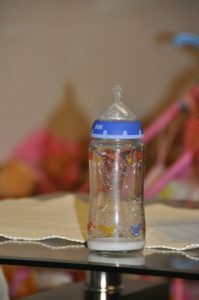 While they currently advocate for breastfeeding, Similac offers a range of products for many infant needs. By joining the Similac Club, you receive up to $175 in coupons, samples and support and advice. Introduced in 1978, Huggies diapers provides disposable diapers suited to each stage of a child’s growth. Not only do they offer free infant diapers for signing up, but Huggies Rewards allows you to collect points on Huggies purchases that can be used toward cool swag. First marketed in 1966 as a convenient alternative to cloth diapers, Pampers has become a name widely synonymous with diapers in general. Signing up for Pampers Rewards gives you access to coupons, savings and special offers as well as a rewards program. Generation Good is a website designed to connect parents within an online community of care and support. When you sign up to Generation Good, you are given access to surveys suited to your profile, giving you the opportunity to earn offers. In the past few years, Amazon has become a leader in online shopping, music services and video streaming. Not only do they make online shopping in general easy, now you can create and organize a baby registry through their site. You can create your registry as well as keep track of thank-you notes and allow your friends and family to organize group-gifting. But that’s not all! If $10 or more is purchased off your registry, you receive a free Welcome Box containing up to $35 in baby products. Free to you ($10 purchase required on registry). Known for its wide selection of products and low prices, Target makes setting up baby registry easy – and they’ll give you $60 worth of coupons and samples just for doing it! Also, anything left on your registry within 8 weeks of your due date is automatically 15% off! Delivery on orders of $25 or more.